The Reconciliation Process is designed to compare, Account Details to Client report/file Details and give you the differences in NAME, File Principal Due or If the Account is in your System but not on the Clients Report/File they sent to compare. First, configure a Data Interface for the Reconciliation CSV Comparator from Impact → Tables → Data Interface Tables → Data Interface Config Table. 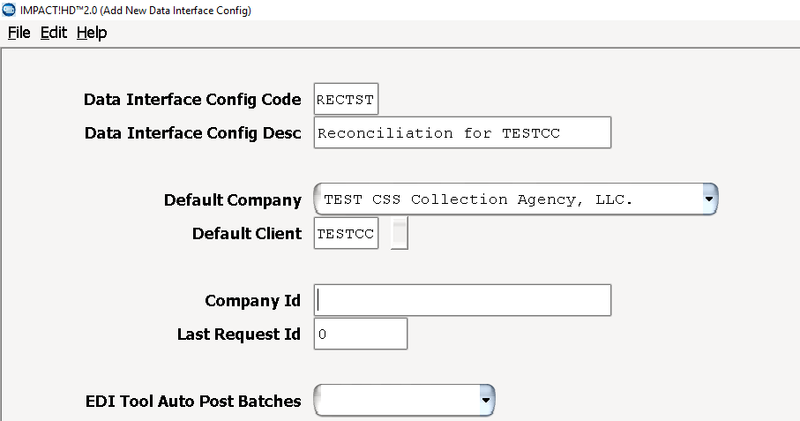 While creating the Data Interface Config, select COMPANY and CLIENT for which this process is for. Disregard the Company ID, Last Request ID and New Debtor Batch Parameters. 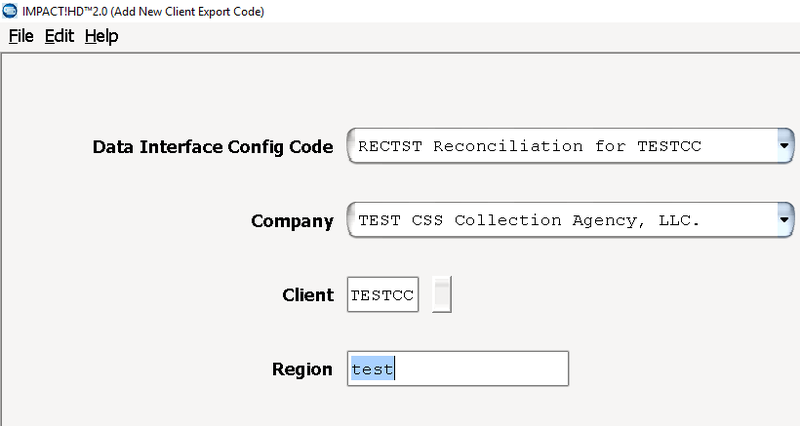 Next, upload your Reconciliation CSV Comparator file.